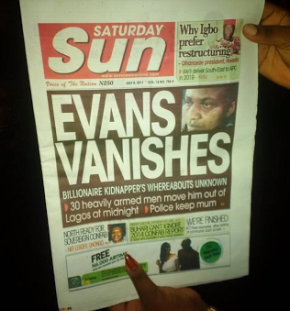 Earlier today, The Sun Newspaper published a report alleging that the kidnapper who was arrested on June 10th in Lagos, was no longer in Lagos police custody and his whereabouts was no longer known. 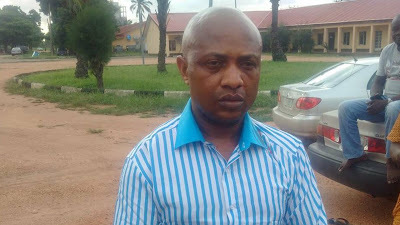 The Nigeria police force has denied media reports that notorious kidnapper, Evans, has vanished from police custody. “The media need to avoid stories that could create fear, tension or misrepresentation among the masses. Where did Evans vanish to? That headline was misleading. The suspect and his accomplices are very much in our custody. We are working hard to ensure that justice is served at the end of the day. There are certain information that are not for public consumption to avoid jeopardizing investigation or even national security.